COLOR TOUCH AM/FM/SIRIUSXM STEREO WITH MP3 PLAYBACK includes 7" diagonal color touch-screen display, USB port, AUX port and iPod support (STD) (Includes Bluetooth for phone only. ), TRANSMISSION, 6-SPEED AUTOMATIC (STD), 2.4L DOHC 4-CYLINDER SIDI (SPARK IGNITION DIRECT INJECTION) with VVT (Variable Valve Timing) (182 hp [135.7 kW] @ 6700 rpm, 172 lb-ft [232.2 N-m] @ 4900 rpm) (STD). 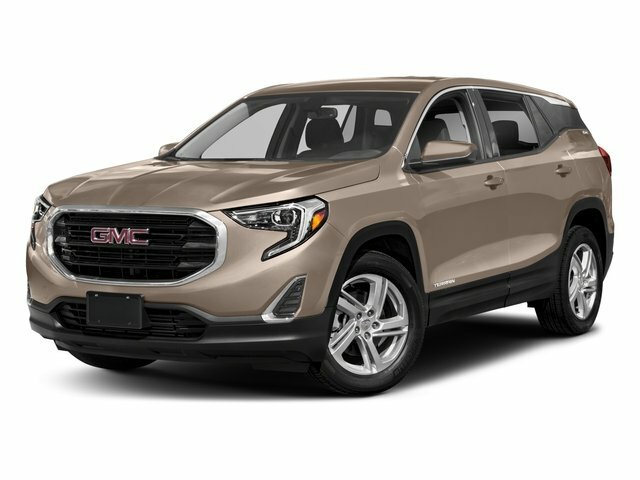 GMC SLE with Ebony Twilight Metallic exterior and Jet Black interior features a 4 Cylinder Engine with 182 HP at 6700 RPM*. .
Edmunds.com explains "Ride quality is excellent in the 2017 GMC Terrain. The comfort-tuned suspension soaks up road imperfections, and extensive sound-deadening measures make this affordable crossover unusually quiet on the highway.". Great Gas Mileage: 31 MPG Hwy.